My Husband and I just purchased a house and Kristen helped us every step of the way. We had been looking for about a year and making offers on homes for about 8 months, this lead us to changing the cities we wanted to buy in, and change the criteria of the house we were looking for. Finding a home felt like a roller coaster, mostly a roller coaster of emotions but Kristen was always there to reassure us we would find our home. Kristen was always available to talk to, never pushed us into anything we were unsure of and it always felt like she was on our side. 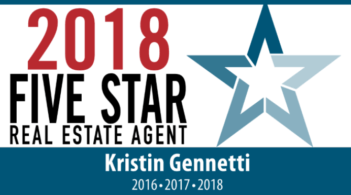 I would recommend all my friends and family to use Kristen as a realtor!! Now my family and I have our PERFECT home.